Two extraordinary writers have recently released new novels, years after their earlier books established their literary reputations. It's been fifteen years since Fae Myenne Ng's debut, Bone, and eager fans have been devouring her new novel, Steer Toward Rock, since it came out earlier this year. 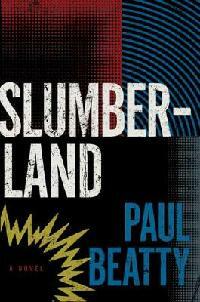 Fans of Paul Beatty's 2001 release, The White Boy Shuffle, haven't had to wait quite as long for his new satirical novel, Slumberland. But seven years without Beatty's labyrinthine riffs that pull together European history and popular culture - effortlessly linking images of everything from Kant to candy bars - felt like a lifetime. Steer Toward Rock is one of the first fictional treatments of the Chinese Exclusion Act from the late 19th century, which severely restricted Chinese immigration and naturalization and imposed brutal restrictions on Chinese American life. Ng tells the story in several voices, starting with that of an old man who has sneaked into the country with false papers and ending the story with narration from the man's grown daughter. Fans of Bone will recognize Ng's fearless female characters who are marbled with both surprising vulnerability and unshakeable confidence. Steer Toward Rock is a brand new take on an old immigration experience. Beatty's Slumberland is instead an emigration story, telling the tale of an African American man with a "phonographic memory" - he can perfectly remember any sound he has ever heard - who moves to Berlin just before the wall comes down. he is in search of a DJ, the perfect DJ, who goes by the name Schwa. Beatty's satire runs deep in the wacky characters he meets and strange settings he travels through in East and West Berlin's Afro-German communities. You've never read anything about this facet of Berlin or the Cold War. Beatty's prose is magical and just the thing to take you to the time and place of which he writes. There are many copies of Fae Myenne Ng and Paul Beatty's books in branches all around the system. Head to the library and check one out today!